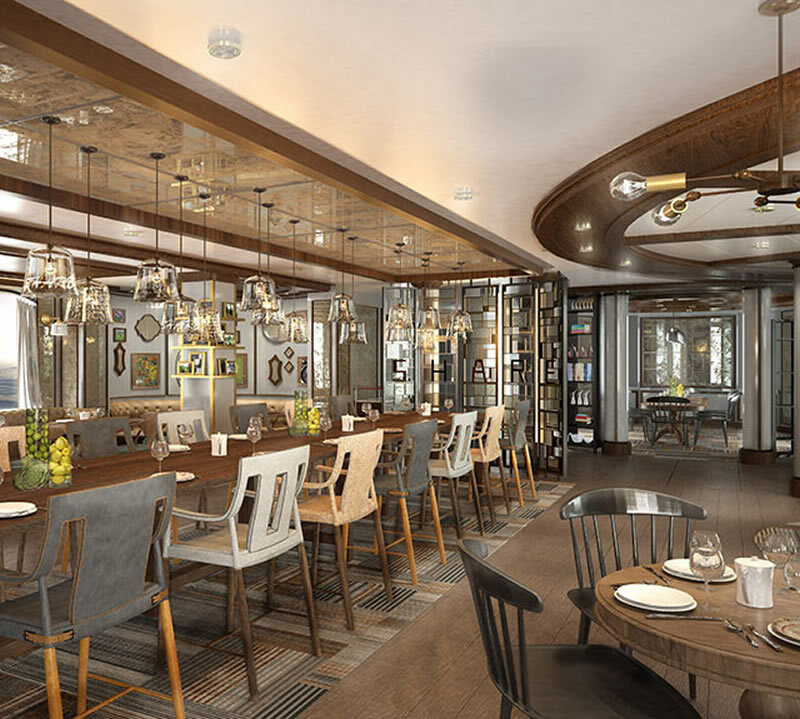 Princess Cruises has announced that a new speciality restaurant called ‘SHARE by Curtis Stone’ will soon be installed on four of its ships. Born in 1975 Curtis Stone is an Australian celebrity chef and has authored a series of cookery books and appeared on television. The restaurants on-board select Princess Cruises’ ships will be the celebrity chef’s first at sea. Family-friendly SHARE will offer a menu of signature dishes made for sharing set within a relaxed and sociable environment. A signature feature of SHARE will be a communal table designed to encourage the sharing of a freshly prepared meal in the company of friends and family. Hand-blown glass pendants etched with some of Chef Stone’s favourite recipes will cast a glow over the table. SHARE will début aboard Ruby Princess and Emerald Princess this December, Coral Princess in January 2016 and then Sun Princess in April. 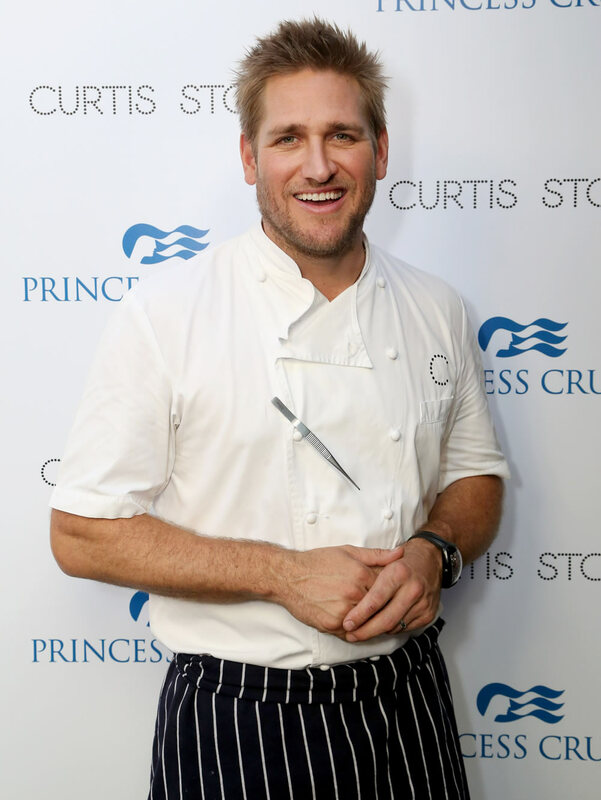 Princess Cruises’ exclusive partnership with Chef Curtis Stone also means that select “Crafted by Curtis” menu items will be offered in the main dining rooms. These will début aboard Golden Princess in the autumn and roll out fleet-wide through the end of 2015. Curtis Stone’s “Chef’s Table experience” will also be introduced in early 2016. This signing is the latest in a long list of celebrity chefs working with cruise lines. P&O Cruises boasts the talents of its Food Heroes Atul Kochhar, Marco Pierre White, James Martin, Eric Lanlard, Charlie Turnbull and Olly Smith; Cunard Line works with Todd English; Royal Caribbean benefits from the talents of Jamie Oliver and Michael Schwartz; NCL ships feature menus from Geoffrey Zakarian and Jose Garces; Carnival Cruise Line works with Guy Fieri; Crystal Cruises offers dishes from Nobuyuki Matsuhisa; and Oceania works with Jacques Pepin. In addition, Arnaud Lallement has advised Disney Cruise Line and Andreas Viestad has helped Hurtigruten.